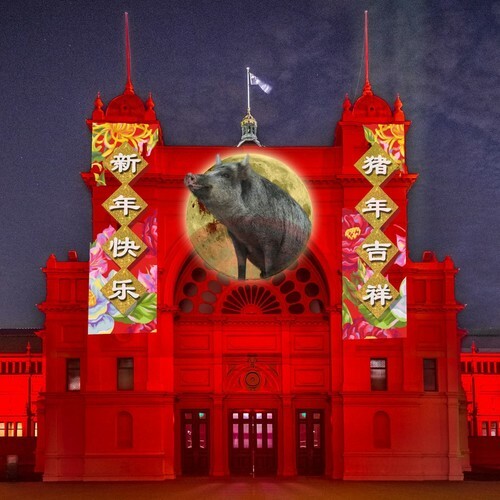 Finish Lunar New Year celebrations in style, with closing performances of dance and music, and reflections on the festive season at Melbourne Museum, plus stunning Year of the Pig projections at UNESCO World Heritage Site, the Royal Exhibition Building. The projections will take place immediately following the Official Closing Ceremony. They are made possible with the help of Panasonic's PT-DZ21K Series projector. They follow 2018's popular Year of the Dog projections, featuring an adorable Kelpie.